I was inspired to do something to help people who lack clean fresh water after reading the book Love Beyond Measure: Memoirs of a Korean War Bride, the true story of Ock Soon Lee (Pega Crimbchin). At the age of seven, Ock Soon was orphaned and given over to another family to be their slave. Along with many other chores, she had to make long trips several times a day to get water for the family. I learned about Women of the Wells, a nonprofit organization that builds water wells in developing countries, and decided it would be a great partnership and opportunity to spread love, peace and harmony. I contacted the president and let her know my intention to raise money to build a bore well. I also organized a Walk for Water in Huntington Beach to raise awareness about the children who have to walk miles each day to bring water to their village. 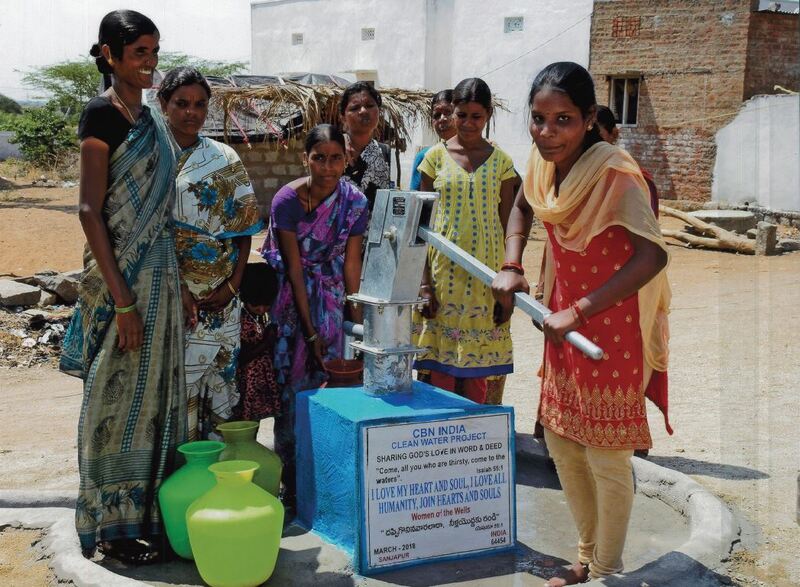 Our Love Peace Harmony World Family donated enough money to build a bore well in Sanjapur, a small village in Telangana, India. The plaque on the well is inscribed with: I Love My Heart and Soul, I Love All Humanity, Join Hearts and Souls Together. In Sanjapur, the weather is extremely hot and humid, with high temperatures. The villager’s only water source was through a tap system that was provided by the government. The water was supplied only twice a week and for a limited time. It was not sufficient to cater to the needs of the villagers. Water tankers also came to the village infrequently. 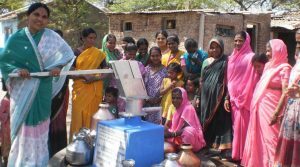 A new hand pump well was constructed in the village. 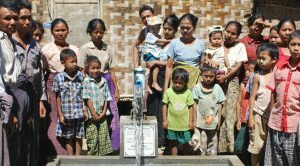 The water is sweet and suitable for drinking, and will benefit approximately 300 villagers. For more than a decade, Women of the Wells has devoted its energy to passionately advocating for the underprivileged by building wells that bring clean, safe drinking water to those in need. They build bore wells in water-impoverished countries, taking clean water to those without a clean water supply. They are an effective means of reaching hurting people and stopping an array of diseases (and blindness caused by dirty water), suffering and death. By providing a village with a clean water supply, they also end the cycle of poverty by providing hope for a better tomorrow. They impact the lives of children by ending their water-gathering duties and allowing them to attend school. When the heavy responsibility for fetching the family water supply falls on children, they have no time to attend school. Some who fetch water have been attacked and killed by animals on the trek to a distant (and often dirty) water supply. The wells built provide clean water to tens of thousands everyday and will for generations to come.